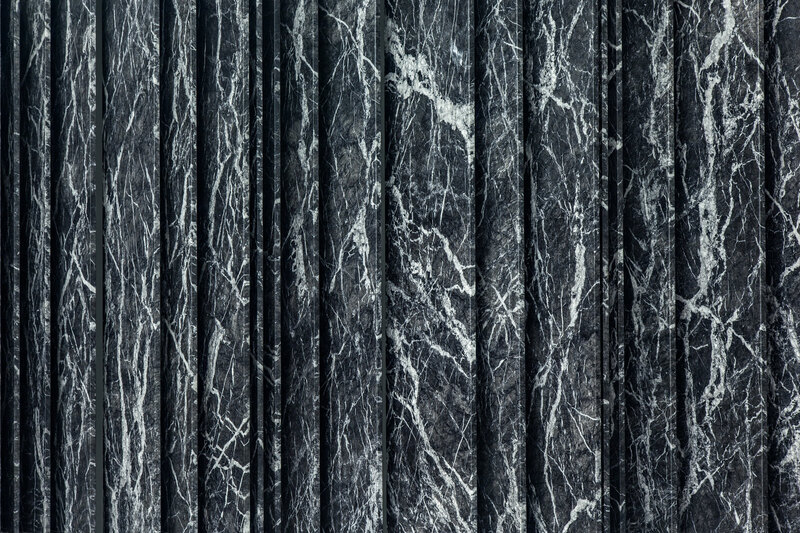 As front-runners in the industry, Olympia has great influence over styling and demand, particularly within North America and also worldwide. 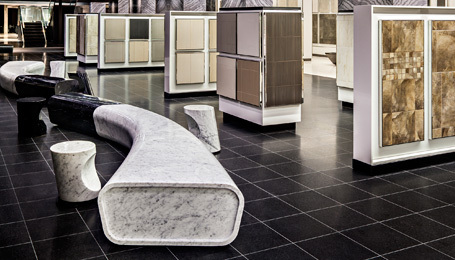 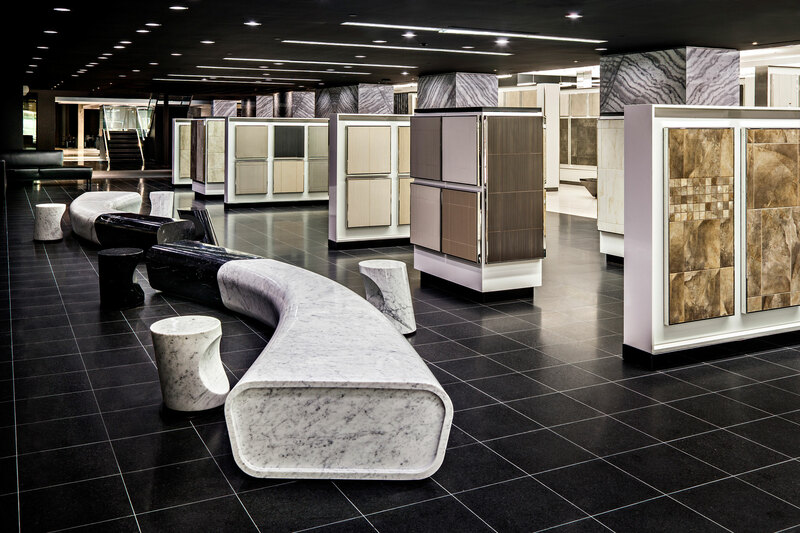 Occupying an entire block and featuring over 37,000 square feet of public showroom space Olympia Tile is nothing short of grand. 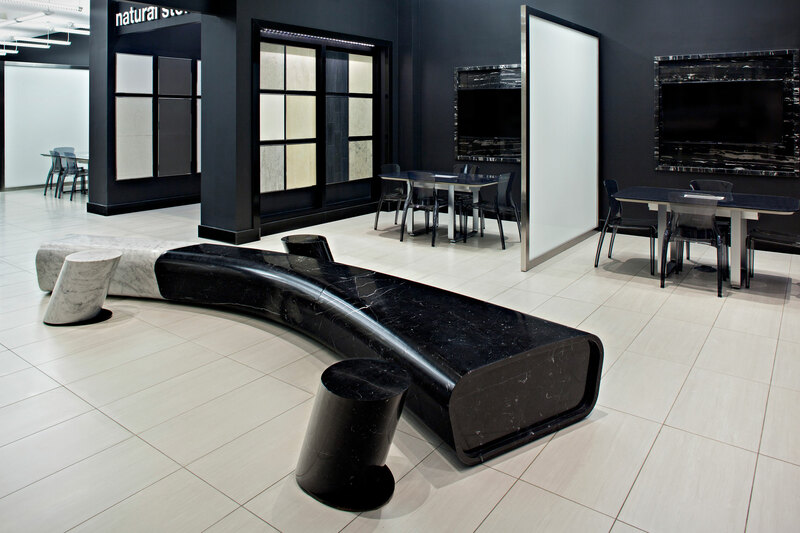 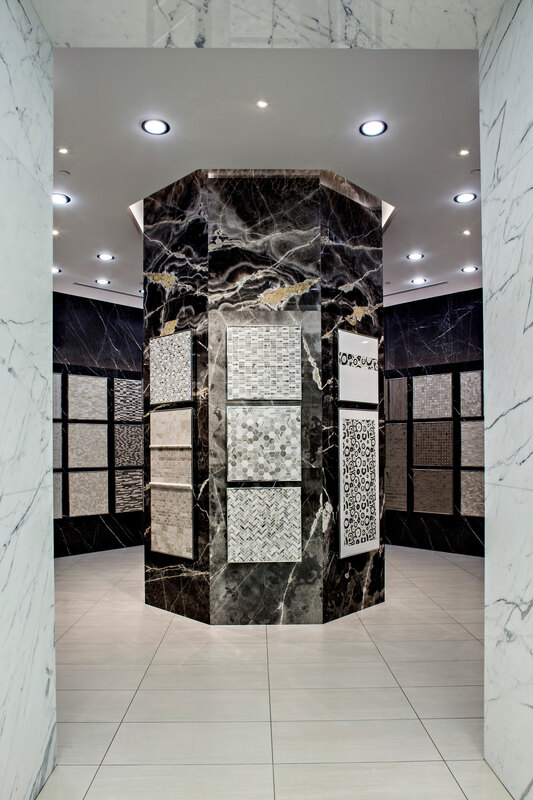 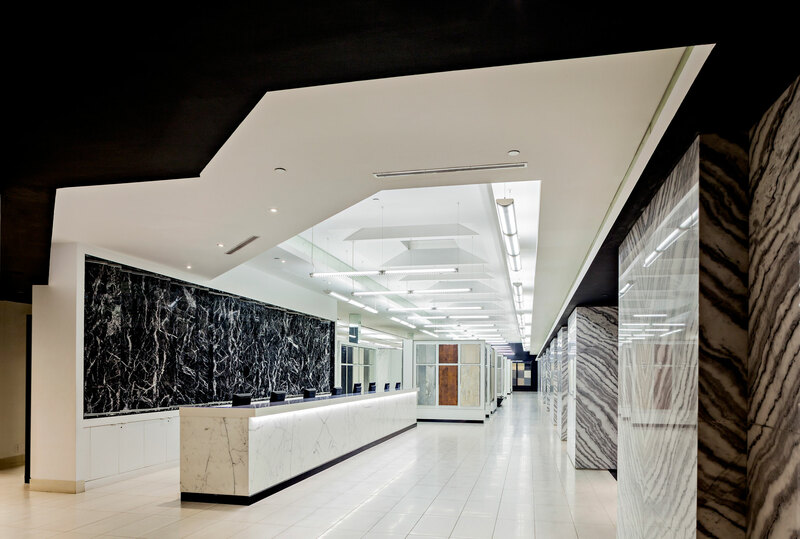 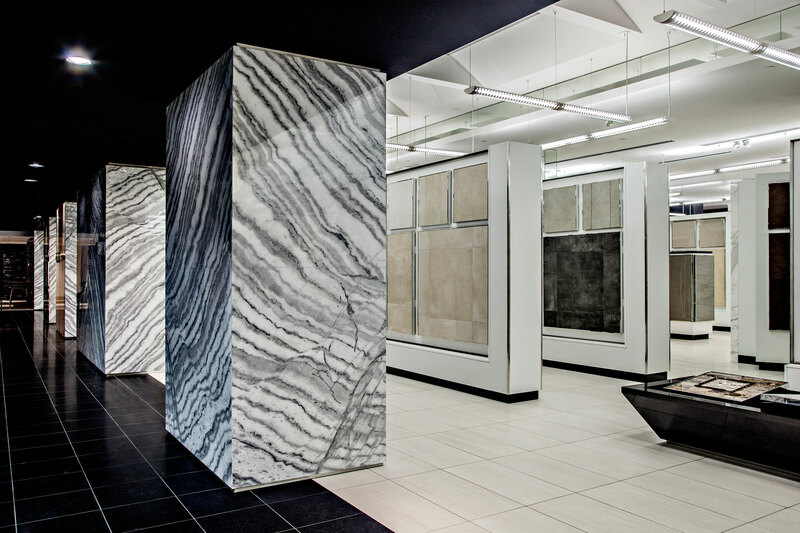 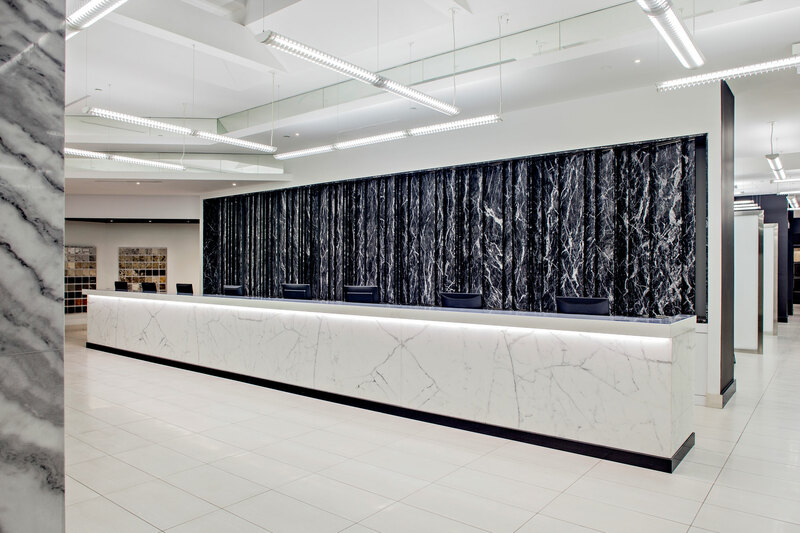 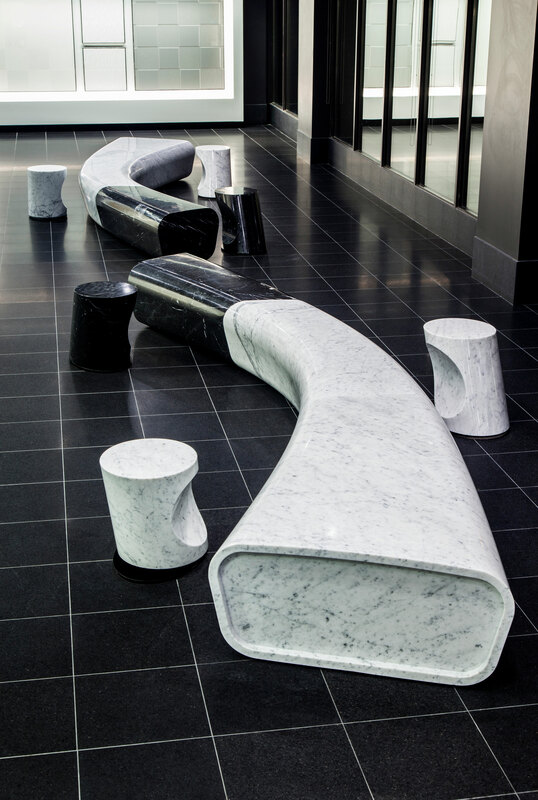 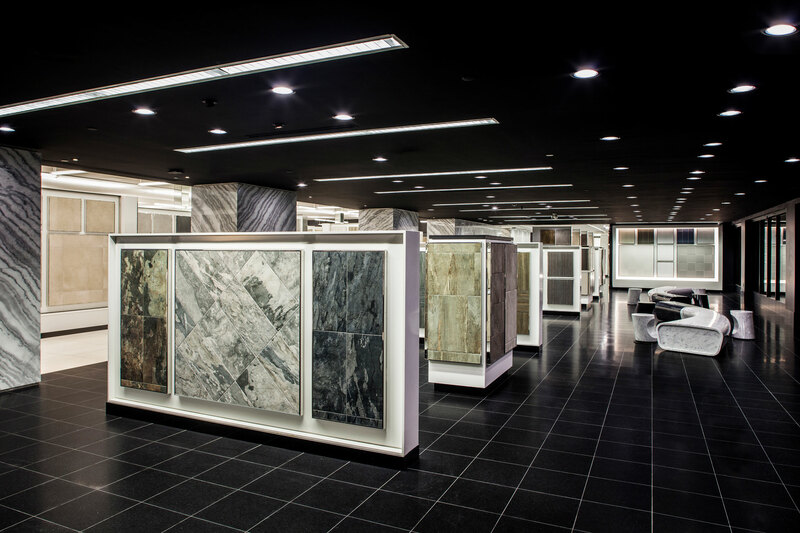 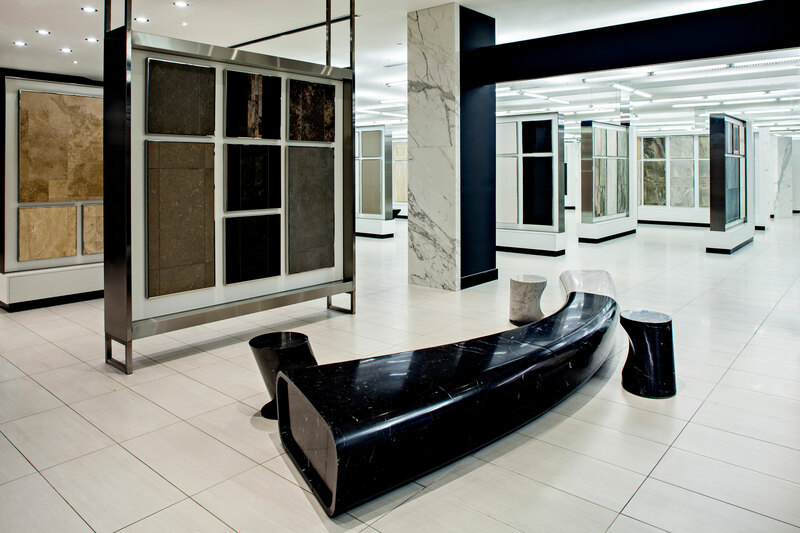 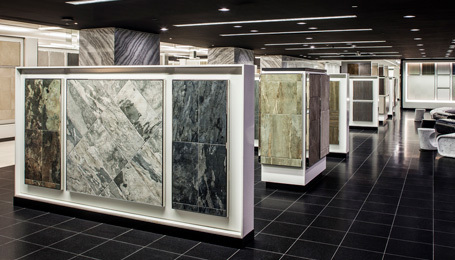 Inspired by the world’s greatest galleries the retail space highlights the many stone varieties using a high contrast backdrop of black and white.